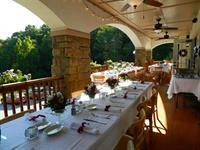 Yahoola Creek Grill is North Georgia's premier casual fine dining experience. Our Southern-inspired menu strikes the perfect balance between classic and contemporary, using fresh, locally-sourced ingredients made from scratch. 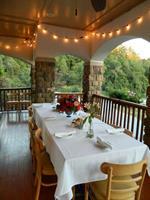 But don't just take our word for it: North Georgia's The Nooze named us 2008's Restaurant of the Year. 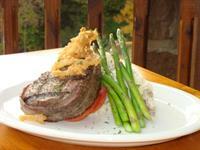 We invite you to come taste why at our elegant, cozy mountain location-whether indoors or on our covered outdoor deck. 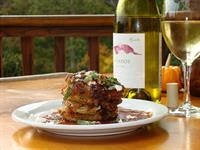 Whether you're local or just visiting on the weekend, we want to be your Dahlonega restaurant of choice. On 400 coming from Atlanta, take a left onto hwy 60. We are located 3.5 miles on the left. If coming from the Dahlonega Square, go towards 400. We are located 1.5 miles on the right.